The Survival Billboard promotion for Tomb Raider and XBox. A Clio award-winner. We could do this in summer in Perth and bake people to death. 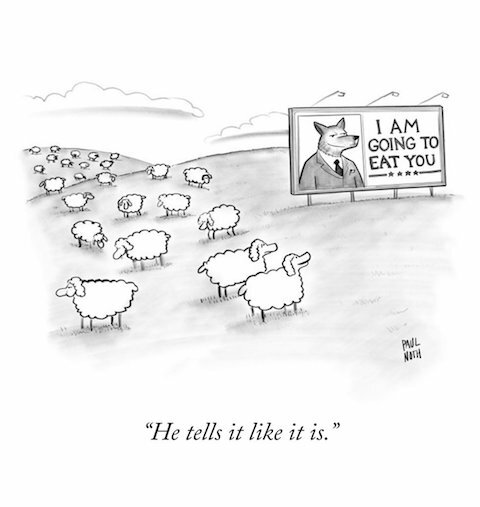 Anyway; a demonstration of billboards as public theatre. Call us with your equally cool creative idea for outdoor. 9388 7844. Billboards for McDonalds, by DDB Hungary. 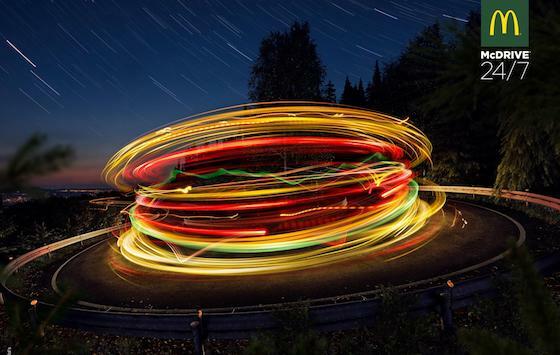 The long exposure stars in the sky are meant to evoke fries. Extra points if you spotted that. 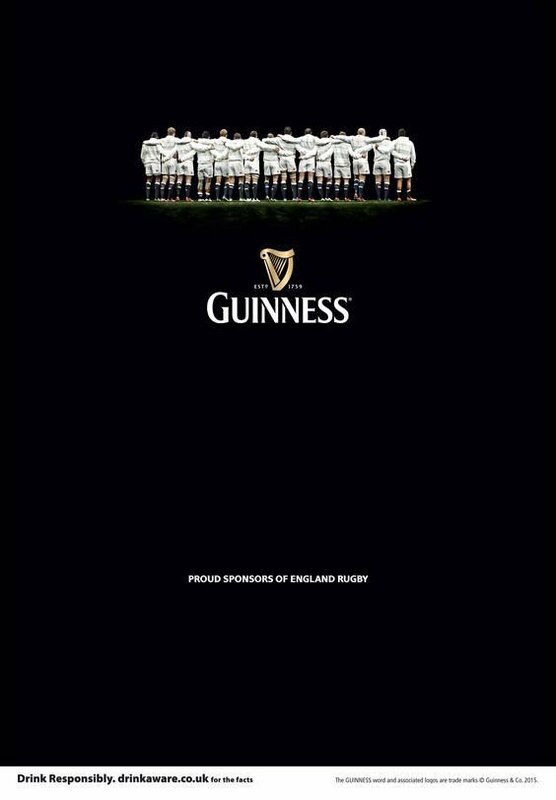 Clever outdoor piece from Guinness who never seem to run out of things that look like stout. They had a similar ad planned for Australian cricket but recently changed their mind. 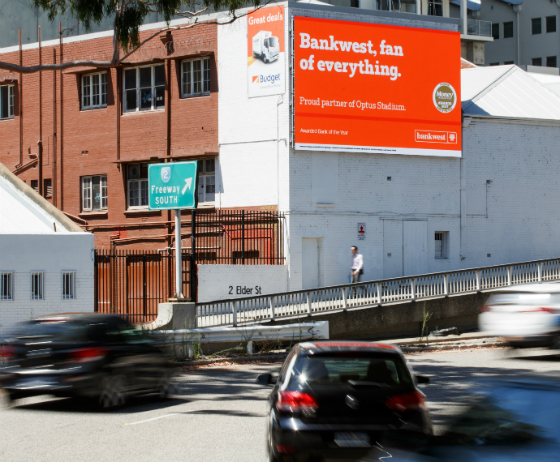 Latest: oOh!’s newest digital billboard in the Perth CBD. Now over 260 screens across Australia. This large format site is oOh!’s third in the CBD. It really re-enforces their OOH pre-eminence in Perth. Elder St is west facing and captures east bound traffic from Subiaco and West Perth on to the Freeway South entrance, as well as Elder St traffic heading towards St George’s Terrace. oOh!’s network continues to expand nationally, in retail centres, airports, office towers, cafés, gyms, venues and universities. 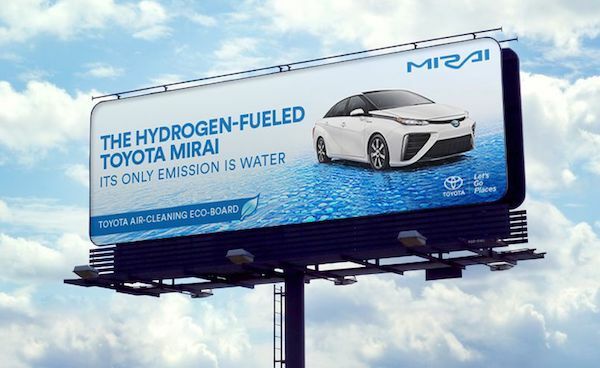 In California, Toyota are promoting their hydrogen-powered Mirai using 37 billboards that remove nitrogen oxide emissions from the air. Catalytic converter. Titanium dioxide-coated vinyl. Science something something. This is called putting your money where your mouth is. Serious props. Might be a thing in China. Financial Times’ write-up on the car. Digital Trends’ write-up on the billboards.